I wanted to thank Chip and Co for doing a joint contest with me and YOU for joining my blog ! Here is a magical gift for our Disney crafters! I created this Nemo from scratch and I think he'd be a cute addition to your world. 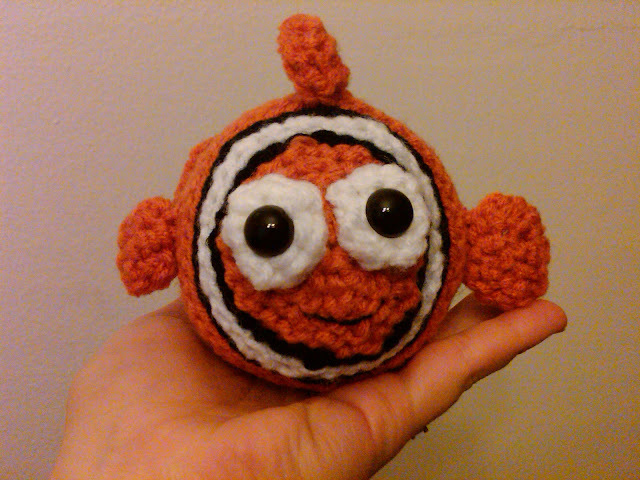 Here's the PDF of your very own Nemo crochet doll pattern!! Thanks for following and Happy Creating! Makes me wish I could comprehend crocheting! I'd love to see Rex(Toy Story) done like this. Would it be doable?